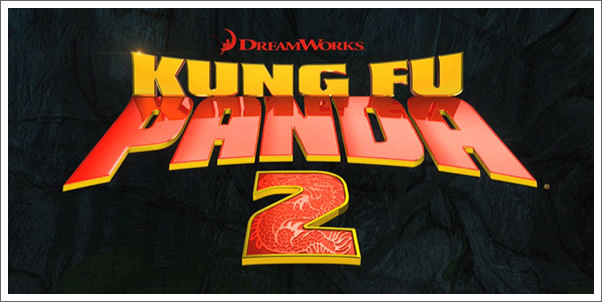 Tracksounds: Kung Fu Panda 2 by Hans Zimmer and John Powell - First Listen! Kung Fu Panda 2 by Hans Zimmer and John Powell - First Listen! To quote the Dragon Warrior, "I love Kung Fu......!" or more appropriately, I loved KUNG FU PANDA both the film and score. Still, believe it or not, I had some trepidation whether the duo of Zimmer and Powell could provide a fresh and exciting experience with the sequel, KUNG FU PANDA 2. Well, did they? If you weren't on twitter last Friday night, you can still join me on as I live-tweet my first listen through to Varese Sarabande's upcoming release of the official soundtrack. Now, you'll forgive me for inaccuracies regarding certain theme names and motifs. I've tried to make as clear of reference to the original themes presented in the first Panda score. #kungfupanda2firstlisten 1: Ancient China/ Story of Shen - Beautiful, slow statement on erhu of original themes b4 intro of Shen theme? #kungfupanda2firstlisten 2: Dumpling Warrior - Reverent title theme before funky upbeat interlude; village celebration motif; Po's theme. #kungfupanda2firstlisten 4: Musicians Village - First action piece; rapid tempo; strings and brass battle before title fanfare is unleashed. #kungfupanda2firstlisten 5: Save Kung Fu - Oogway/master motif ; playful Po motif on woodwinds; new arrangement of training-montage music. #kungfupanda2firstlisten 8: Gongmen Jail - Ha! Shaft-like parody interspersed w/ big Powell orchestral accents. Oogway/master statement. #kungfupanda2firstlisten 9: Rickshaw Chase - Action piece; var. of training montage...but ever increasing tempo! Head spinning. #kungfupanda2firstlisten 10: Po and Shen/ Face to Face - Shen's dark motif; heavy percussion; low brass; var. east. strings; concl = wow! #kungfupanda2firstlisten 11: More Cannons! - Action piece; barrage of familiar motifs; builds to full orch. title theme with bright chorus. #kungfupanda2firstlisten - Let me just interject here that a tweet just can't contain all these tracks have! So far an amazing score. #kungfupanda2firstlisten 15: Zen Ball Master - Climactic action setpiece; Motif-palooza! 9:12 of Zimjitsu and Powellsanity. Nuff said. #kungfupanda2firstlisten 17: Dumpling Warrior Remix - Po quote; Po's theme remixed; not great but at least you can still recognize it. So there you have it. What your expectations for KUNG FU PANDA 2's original score are. As you likely gathered, I found it a great first listen and am looking forward to the film all the more now.